It's been a truly stunning World Cup so far, even though we're not past the group stage. Who could not have loved the performances be Morocco or Iran. Who among us wasn't stunned by Germans nearly having been eliminated, while Poland... maybe let's not go down that road. If, like us, you're also a nerd for matchday attendances, you should definitely check our tournament page to check how many crowds of 100% were recorded. Of course, these refer to tickets distributed rather than those actually used, but the Russian World Cup is looking really well in this respect. Each stadium page has a description of the venue with all games listed. Once the group phase concludes, we'll also take a look at just how much Russians actually paid to build them between bidding and openings, which is a bitter-sweet story with details not easy to compile. Budget aside, the tournament is also going smoothly stadium-wise. No significant structural issues have been reported, so even the late deliveries of several stadia didn't show in their tournament use so far. 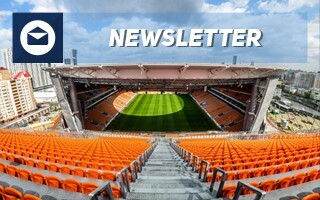 Long-term use of Russian stadiums is a much bigger issue, which is yet to be addressed fully. As an example, in Yekaterinburg there's still major dismantling and construction work to enclose the stadium once all temporary seating is removed. Works on that should begin as soon as July, though even after delivery it's unclear how the stadium would break even. A couple months later in Nizhny Novgorod a different project will be launched, seeing 3,000 m2 of the stadium being transformed into a medical centre. Major further works are also planned in Kazanand Saint Petersburg, while smaller conversions will happen in all 11 host cities. Socially the 2018 tournament has also had its upsides, not small ones too. Despite immense media fears there were no important incidents of violence or discrimination and Russians as a society are showing the face we were most looking forward to: warm and welcoming. 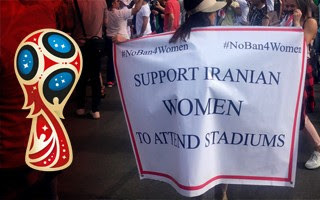 There's also the breakthrough moment for Iranian women finally watching football live back at home, even if only on a giant screen. 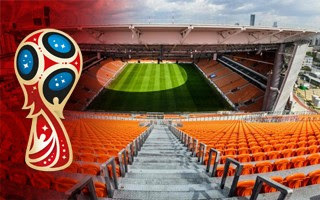 If you have been to Russia during the World Cup or are planning to visit during the knock-out stage, please keep us in mind and share your tournament photos. We've already received quite a few stunning images, but in this case we just can't get enough. 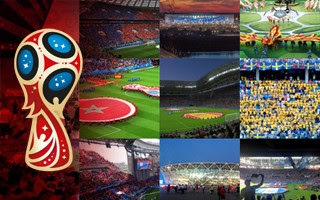 These, whether shared via facebook messages, emails or flickr, would be used in respective tournament stadium presentations to catch the World Cup atmosphere to the extent possible. But we're not only interested in the World Cup. Or, should we say, not in this World Cup alone. Quite fascinating news regarding the world's first fully modular stadium for Qatar 2022 surfaced, showing how toilets built from 3 containers would look. A total of 990 containers would create the infrastructure of Ras Abu Aboud Stadium. 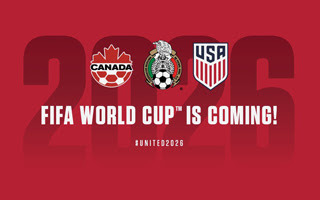 And, regarding even further World Cup decisions, you surely saw the 2026 decision and shockingly long list of potential host venues across all of North America. If not, make up for it here!